If you have an iPhone, iPad or other mobile device, you likely have a ton of apps taking up space. 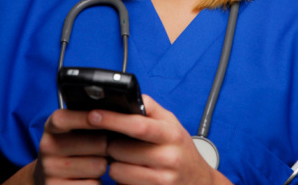 While some of those apps are likely tailored for fun (Angry Birds, Words with Friends), there’s no question that you can use your smartphone to serve your nursing career. We at Scrubs, for example, have proudly launched the Code Happy app that focuses on bringing you laughter, inspiration, salary statistics and insights into the lives of other happy nurses throughout the country!